So, you want to know whether or not microwaves are paleo? How Do Microwaves Work Exactly? Does This Friction Kill Nutrients? What Makes Microwaving Food Worse Than Other Cooking Methods? Is There Any Confusion Or Disagreement When it Comes To Microwaves Not Being Paleo? 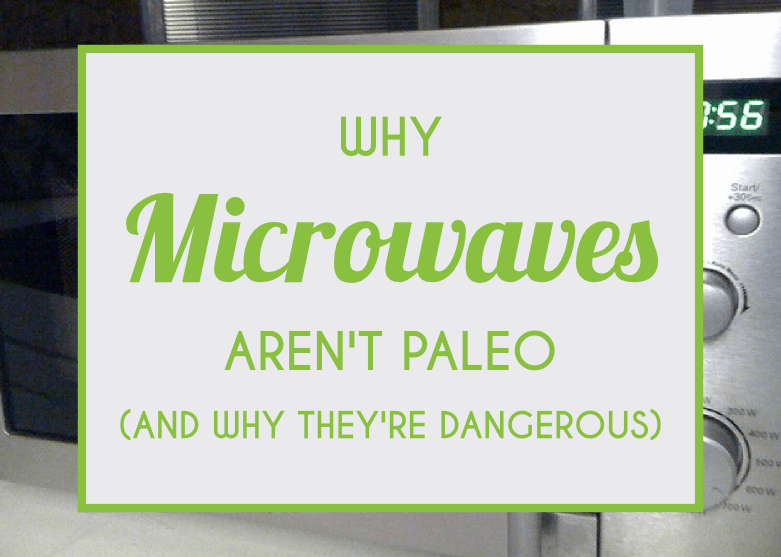 As you have probably guessed, microwaves are not paleo. The answer seems obvious. I mean, beans and quinoa are off the table, so microwaving can’t possibly be acceptable, right? Well, think again, because the convenience and new technology of microwaves aren’t the primary reasons for their classification as “non-paleo.” The paleo diet does not shun things simply because they are new. It is obvious that microwaves are a relatively new piece of cooking technology and not something that Paleolithic people could have used, however, with the knowledge we have now, there are better reasons to avoid using microwaves. When people consider the idea that microwaves are dangerous, they can usually think of a few potential reasons why: microwaves kill all the nutrients in food, they leak radiation and dangerous toxins into your food, and they just seem too damn convenient to actually be healthy, right? Microwaves work by heating the molecules inside of food. Essentially, the molecules are forced to move so quickly while they’re packed tightly together that they create a lot of heat through friction. This process is not really unique to microwaves. We create heat using similar sources of friction all the time. A microwave does not actually use any special chemical substances, toxins, or “radiation” that is passed into our food. In truth, cooking your food in any way usually comes with some pros and some cons in terms of how that style of cooking affects nutrient. Certain vitamins and minerals are actually more readily absorbed by the body when they’re heated and cooked, while others are somewhat, or completely, destroyed by the heating process. Plant foods usually contain a range of vitamins and minerals, all of which react differently to being cooked. Carrots, for example, lose a lot of their vitamin C when they’re cooked, but the other vitamins they contain become available for your body to use. Tomatoes are also thought to become even healthier when they’re cooked. Studies have shown that water-soluble vitamins and also antioxidants tend to be susceptible to damage during microwaving. In order to preserve as many nutrients as possible during the cooking process, the rule of thumb is to use “slow and low” cooking methods whenever you can. Microwaving is the opposite of this. It heats things at very high temperatures (using friction) and does so extremely quickly. This means it can destroy more nutrients than a slower method like simmering or dehydrating would. Microwaving can also release toxins into your food, depending on the type of dish or container you use. Plastics, and especially BPA plastics, are known to leak a lot of harmful substances into your food. This has been linked with an increased cancer risk, autoimmune issues, and digestive distress. Yes. Surprisingly, a lot of people do think microwaves are paleo and safe to use. Here’s the rationale for the other side of the story. It’s hard to make a definite statement about the safety of microwaving because studies have shown mixed results. There have been reports that microwaves kill many of the nutrients in broccoli, for example, but, on the other hand, there have been studies that show microwaves are no more damaging than other methods like roasting, baking, and grilling. The pro-microwaves camp feels that there are not enough scientifically proven reasons to avoid using microwaves. Microwave lovers point to the fact that certain studies have even shown that microwaves preserve nutrients in food more than other cooking methods do. The bottom line is that a diet, or any healthy living plan for that matter, only really works if you stick with it. People are busy, so, if using a modern microwave allows them to eat better overall and to save some time preparing their food, so they can go do other things, like go to the gym, using microwaves might be a good tradeoff for some people. In the opinion of this group, the particular foods you cook with and eat are more important than the cooking method you use. No, microwaves are (mostly) not paleo. Using a microwave to prepare food is thought to be unhealthy and even potentially cancer-causing, at least according to some studies. Microwaves are obviously not very natural cooking tools and they certainly didn’t exist in cavemen times. However, they do offer convenience for many people and may allow some people to stick to a healthier diet. 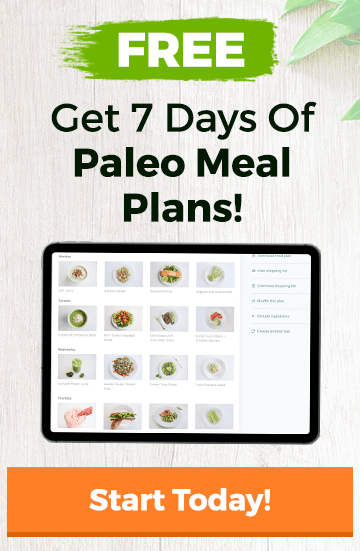 So, whether or not you decide to use a microwave on the paleo diet will depend on which arguments you agree most with and what your priorities are in terms of convenience, taste, and potential health risks. If you want to go paleo don’t forget you need to turn off your heating, get rid of your nice comfortable bed, your oven (not just your microwave) electric jug, computer, smartphone (and even your landline phone) and a host of other things. Cavemen didn’t have your warm, dry house, never mind all the things in it. Cavemen also lived very short lives. Even in the eighteenth century the average lifespan wasn’t much more than 40 years. Look how far we’ve come since! Our longer lifespans can’t all be down to improved medical care, though that obviously played a part. It’s unrealistic to eat like a caveman anyway. Today’s vegetables are nothing like the ones cave dwellers would have been gathering. And to eat meat anything like what they would have eaten you’d have to go out and shoot wild animals for food. The paleo diet is much like all the other diets: created to grab money from gullible people. I gather you’ve read a very small part of our website. I recommend you try the nutritional recommendations for yourself and see how it might work rather than making comments from afar.